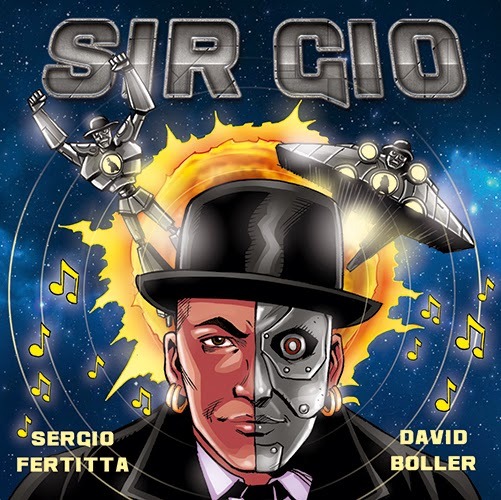 Storyboards & Illustrations David Boller: SIR GIO COMIC BOOKLET! Meanwhile, I finished illustrations on a 20-page booklet for acclaimed Swiss music producer Sergio Fertitta (Snoop Dog and many more). I had already created a full graphic novel for him which you can check out in the "Comics Section". He's about to release his first solo CD and asked me to illustrate the origin story of his character SirGIO and the robots. The style is in a typical Marvel Comics style and it was a lot of fun to create this booklet. The CD will be released after October 21, 2014.